Frosted Vinyl For That Etched Glass Look! 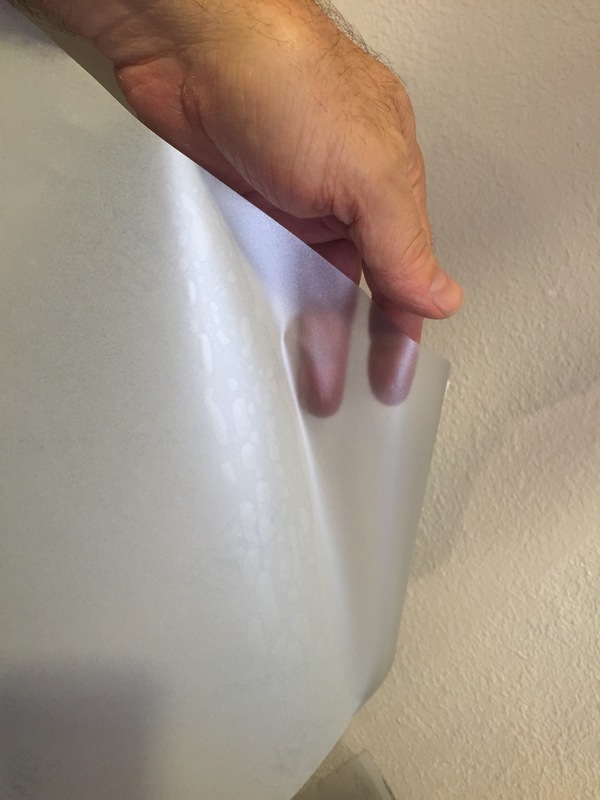 Here is a quick video about using frosted vinyl which is a great product for adding a touch of class and elegance to your graphics. We use this for bank signs, restaurant signs, reception area signs, and more. It’s also great for privacy on windows while while letting in light! It can be printed on in color and have logos or text cut out. One client uses it for branding corporate events with logos printed and applied to cylinder vases used for centerpieces. Frosted vinyl for a classy-understated look. Yes, We Make Tear Drop Banners! 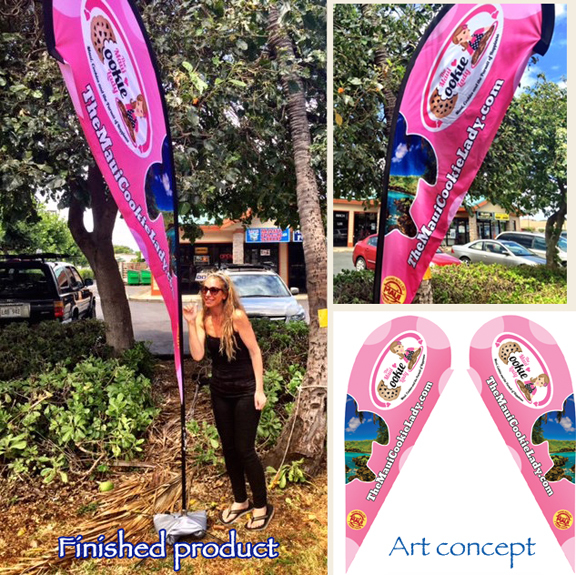 The Maui Cookie Lady Loves her tear drop banner!